Pasture Grass Seed Mix. Both entophyte free. 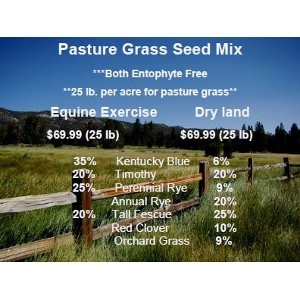 **25lb Per acre for pasture grass. © 2019 Ephrata Agway. All rights reserved.